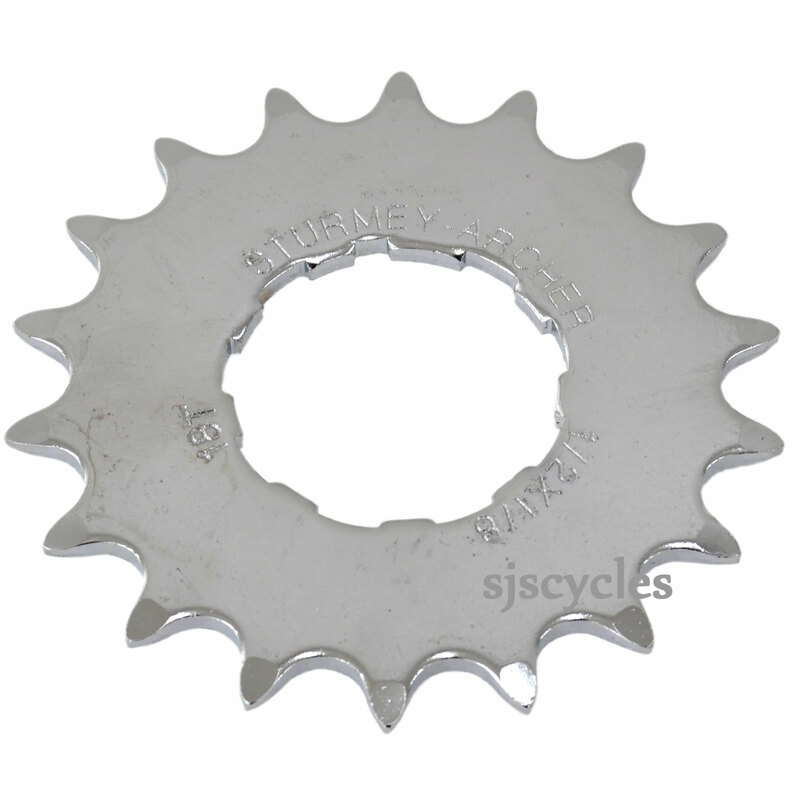 Sturmey Archer 18T Sprocket - 1/8 for S3X C.P. Is there any advantage to use a 1/8 sprocket over a 3/32? I was considering whether this would fit my Nexus 3 hub, and if it offered anything over the Shimano 3/32 18t part? The Shimano part is half the price at £1.99. The sturmey archer is of better build quality and is slightly more hard wearing, however differences between the two would be hard to tell when riding until they reach the point of wearing down.